Dressing Up Mummy and Mini Me! + PROMO CODE inside!! 1 Comment on Dressing Up Mummy and Mini Me! + PROMO CODE inside!! Celebrities seem to take on motherhood so seamlessly – with a flick of magic dust and the household chores are done, baby is sound asleep as mummy heads out for girlie catch-ups looking like the delivery never happened. Truth be told, for the rest of us mere female humans, no one needs to know you spent the entire night rocking your baby and turn up in public with an embarrassed husband. Most ladies hope to look good, much less a breastfeeding mother. I often lament the lack of suitable clothes in my wardrobe that could take us (baby and I) through the day, especially when we’re out for long hours on weekends. Most nursing clothes are pricey and don’t look too exciting, but I’ve somewhat “survived” 14.5 months without a single nursing wear per se. How can that be done? It’s easy – some thought and strategizing are needed to get in the groove to break the norm. Shopping for suitable (read: breastfeeding-friendly) clothes now has additional limitations since there are extra requirements to consider. 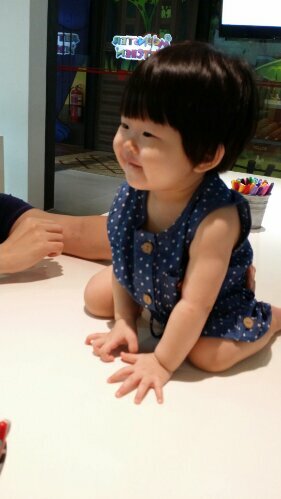 The lack of time makes retail-shopping with a bub a mountainous task at times too. Jump Eat Cry understands the #lifeofamother so they make shopping for nursing and maternity clothes easy – basically a one-stop shop so you don’t need to rush from shop to shop just to maximize shopping time. 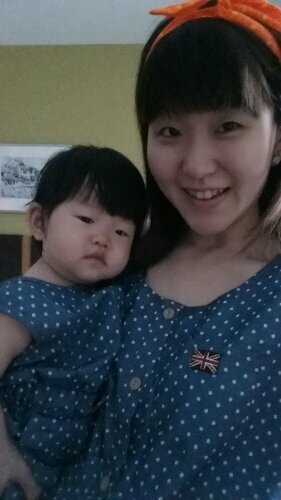 Best of all, baby Vera and mummy get to dress alike! It’s been difficult to find nice mother-and-daughter sets that are comfy, and most importantly, nursing-friendly! This Lisa Romper Polka Dot set (Mummy’s – $30.09, Baby’s – $25.20) caught my eye immediately! We put these rompers to the test during our recent trip to Malacca! Great that the material is soft and sleeveless as the weather was scorching! Having said that, Jump Eat Cry has real nursing tops and dresses specifically for breastfeeding with easy-access flaps, zips or cuttings. If you have a formal event to attend, these dresses can take you from weddings to black-tie events and none will be the wiser. And, just like how I’ve been adamant about getting real nursing wear, the same goes for maternity clothes when I was preggers. Call me stubborn – muahaha! Bling it up with a statement necklace against this simple top! Its versatility scores brownie points – accessorize to glam up and match with different bottoms for new looks every time. Pair it with a pencil skirt for a corporate-appropriate look! A skinny belt accentuates your waist instantly, and the flared bottom adds volume for a more curvy figure ;) If you’ve got a growing belly, the A-line cutting of this top lets you wear this top for longer to accommodate throughout pregnancy. 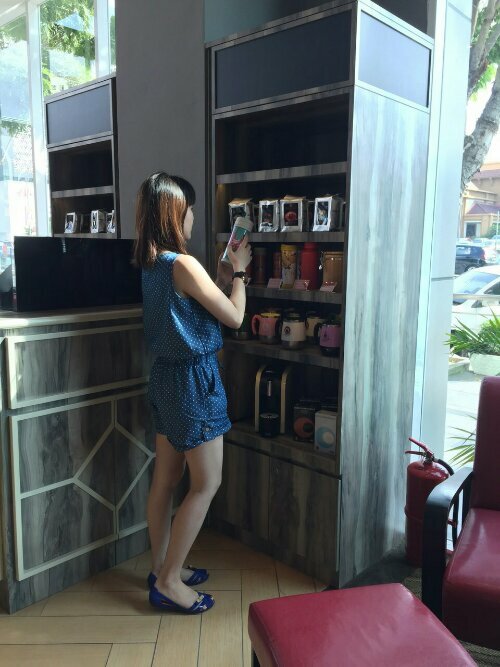 Shopping at Jump Eat Cry is convenient and easy. Choose your favourite items and add them to cart. For Mommy & Daughter sets, select desired sizes and the individual prices will update accordingly. After adding to cart, check the items and sizes and click on “Checkout”. That will bring you to the payment gateway page as shown here. Paypal option is available too. Bernard and Chelsea started out because both their siblings were actively looking for family sets to wear last Chinese New Year. It’s really hard to find nice ones that included grandparents and one of their first ever product was family tee sets with outfits for the grandparents too. When their siblings had their second baby, affordable maternity and nursing wear were difficult to find too. That’s where the husband-and-wife team started bringing in some from Korea and China. The quality was not bad and customers started requesting for more of these and that’s where they decided to go full fledge by expanding the product offerings to their customers. Jump Eat Cry houses a wide range of collection for nursing, maternity, mother-and-child and family sets all at one stop. Shopping for the family is literally just a click away! Enjoy 10% off all orders including sales items! Enter discount code THP10 at check out! Valid till 28th Feb. Enter Promo Code THP10 here to enjoy savings!! What perfect time to grab your new clothes for Chinese New Year – daddy, mummy and baby can get matchy-matchy with their family sets! Nursing mothers can look good too, it’s not that difficult :) Happy shopping, mummies and new mummies!